Possibilities offers a range of ‘enhanced’ therapies to obtain better outcomes for you. Possibilities offers a range of therapies ‘enhanced’ with the latest developments in psychology research and psychotherapy methods. CBT is one of the most effective therapies available for addressing anxiety, depression, PTSD and panic attacks. 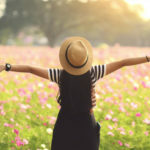 By using a mixture of methods and therapeutic techniques, you can learn to better manage your emotions, thoughts, body symptoms and behaviours. At Possibilities, we offer ‘enhanced’ forms of CBT to increase its effectiveness and reduce problems with relapse. Finding our way in life is not always straightforward and simple. Careers, family life, relationships, or emotional issues all arise and can interfere with you becoming the person you are. Our life coaching works with you to reduce the pressure of the problems you’re facing and finding better solutions. Positive psychology covers many methods for building generatively on your strengths, potentials and possibilities. Positive psychology offers new mind-sets and ways of engaging with and drawing out growth, healing, insight and transformation from challenging, problematic and difficult life experiences. Often these contain the seeds of transformation. EMDR uses specialized techniques to focus on negative emotions, memories and beliefs associated with traumatic experiences. EMDR can be an effective way of addressing PTSD with a higher success rate for single trauma situations. It complements CBT well. Counselling for children requires specialised forms of therapy designed specifically for them and their developmental level and emotional needs. Possibilities effective therapy engages with children’s imagination, resourcefulness and sense of wonder, in line with their needs and preferred vision for their lives and future. Our therapy is designed to work with children between the ages of 5-11 years old. For distressed teenagers, the counselling we offer is carefully adjusted to the unique needs of each young person. Adolescents have to cope with many changes: in their bodies, sexuality, cognitive abilities, emotional development, mood, behaviours, relationships, social lives and other complexities and demands, alongside struggles and confusions about identity issues and the nature of their relationships with themselves and others. Our confidential psychotherapy aims to gently help teenagers overcome their varied stress and worries, challenges and potentials.